This is Toi Tentsu, who came up with the original concept for Kindred Spirits on the Roof. 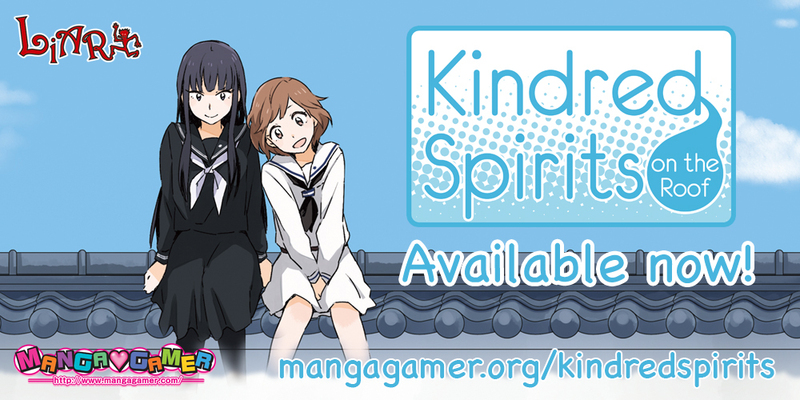 I’ve been looking forward to Kindred Spirits’ release on Steam. The story takes place in the sort of all-girls school you might find anywhere in Japan. Toomi Yuna, living a quiet life and avoiding interacting with people at that school, meets two “kindred spirits” who live on the school’s roof and ends up helping them fulfill a certain wish. As the two “lively” ghosts get Yuna wrapped up in all sorts of things, her daily life starts to change. What will all these changes bring to them? I would be happy if the players kindly watch over them as they go through those changes. It’s a comfy game from start to finish, but I hope it’ll become a good memory for people who need a story like that. This is Peg, the artist. 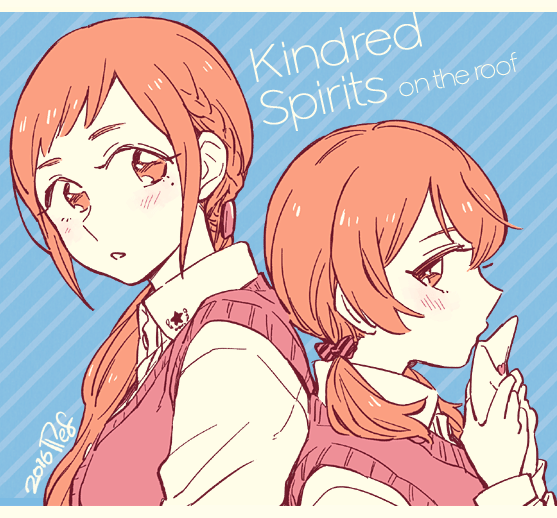 I hope you enjoy Kindred Spirits on the Roof! I’ve been waiting for this since the game first appeared in Japanese.